Great for a daily moisturizer. Contains grape seed extract and CoQ10 for a corrective and anti-aging effect. Jojoba oil helps give balance to oily skin. An all natural ointment for skin lesions and abnormal skin growths. -Perrin’s Blend™ usually needs to be covered with a bandage. -Sometimes Perrin’s Blend™ is used at night, and the Crème Complete during the day. The Crème Complete™ is corrective cream, light yellow in color. Unlike the Perrin’s Blend, the Crème Complete is spreadable. With extended use of the Crème Complete™ we have seen abnormal skin tissue and discolored sun-damaged areas such as actinic keratosis and age spots peel away and return to healthy, normal looking skin. It has also had an extremely positive effect on Lichen Sclerosus. The Crème Complete™ is less concentrated than the Perrin's Blend™ and may take longer to work. Sometimes a person will use the Crème Complete™ in conjunction with Perrin's Blend™ if they can't use the Perrin's Blend™ all the time. For instance, if the lesion is on a person's face and they have to be in public and don't want to have a bandage on their face, or a red ointment, then they will use the Perrin's Blend at night and when at home, and the Crème Complete™ during the day or when out in public. Leaves skin satiny soft and smooth. Results may vary from using Perrin’s Blend™. 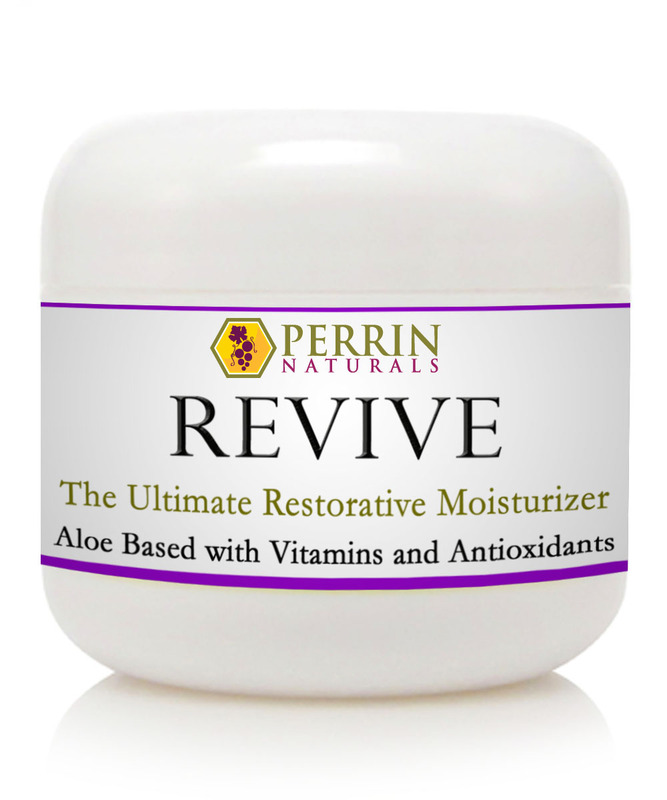 Here at Perrin Naturals, we cannot and do not guarantee results. We cannot and do not diagnose ailments. We can only report what others say our products have done for them, and in some cases get their testimony on video or in written from. Since we began selling Perrin’s Blend in 2005 we have had a product return rate of less than 1% or less than 1 in every 100 orders. We only manufacture and sell products we use ourselves.